Disney on Ice presents Princesses and Heroes for 2012. 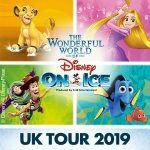 That’s right folks, tickets are now on sale for the latest Disney on Ice spectacular in the UK. 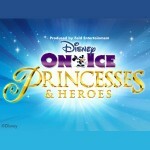 Following on from the recent smash of Worlds of Fantasy the new show for March and April 2012 is called Princesses and Heroes and as always will feature a glittering collection of the finest Disney characters with amazing ice skating routines for all the family. 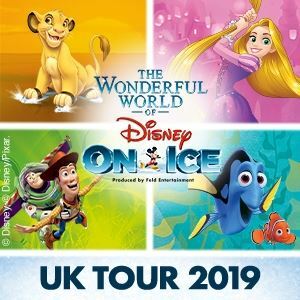 Tickets are on sale with Ticketmaster for the national tour which visits London’s Wembley Arena, Birmingham’s National Indoor Arena (NIA), Liverpool’s Echo Arena and Sheffield’s Motorpoint Arena. Ariel from The Little Mermaid will be there, plus Snow White and the Seven Dwarves, Sleeping Beauty, Bella from Beauty and the Beast plus many other princesses, promising all the excitement and romance of these classic stories on ice.